Home » Have Your Say » India and China on brink of war: What’s your take on this? India and China on brink of war: What’s your take on this? War seems to be increasingly inevitable between India and China, looking at the way strident talk of war and show of strength are building from the Chinese side, with India reacting with massive military deployment on the Sino-Indian border, in the two-month-old stand-off between the two countries. What sparked the confrontation is an area of about 90 sq km at a tri-junction between India, China and Bhutan called Doklam, where India attempted to stop China from extending a road from Yadong to Doka La pass. It is close to the Bhutanese border on the Doklam plateau. Bhutan has objected to China’s road construction in the disputed area, and India came to its rescue criticising China for “crossing the border” and attempting to construct an “illegal” road since June. Meanwhile China has criticised India for entering “China’s territory”. Unlike China and Bhutan, India does not have a claim on Doklam; however, India supports Bhutan’s claim on it. China is throwing India a challenge in an apparent attempt to establish its superiority over India. But this is not the same 1962 India that China is asking to take lessons from. India has built the capability to face any eventuality. China claim to have superior war capabilities, and be it as it may, but the destruction that China itself would have to endure from a war, only time will tell. As the tremors of the stand-off were felt in Delhi, some jittery armchair warriors went out of their way to target the Dalai Lama and Tibetans, blaming them for not doing anything to stop the war. However it seems that the reality is a bit different. Wasn’t it the Dalai Lama who mooted the idea of having Tibet as a buffer zone between India and China? Let alone even supporting this idea, India paid no heed to it all. The Dalai Lama has long said that India is ‘over-cautious’ with regard to her Tibet-China policy. He asked India for a firmer Tibet policy. His words were seen as not important and serious enough, and India chose to remain silent. The Dalai Lama and the Tibetans have for more than half a century stood against the ill designs and policies and activities of china. The Tibetan people have fought for India in wars which brought victories, and continue to safeguard India’s borders at the highest battlefields in the world. Tibetans will continue to side with India for everything it has done to keep the Tibetan struggle alive, and in return Tibetans will side with India without any hair of doubt, considering the repressive Chinese policies in Tibet. The Dalai Lama has said that there would be no victors in a war, and talks were the only option. What are your thoughts about a war between two such big countries in today’s times? Would war be an effective means to resolve the current stand-off, considering the massive destruction both will suffer, which will have expansive ramifications for a long time to come? 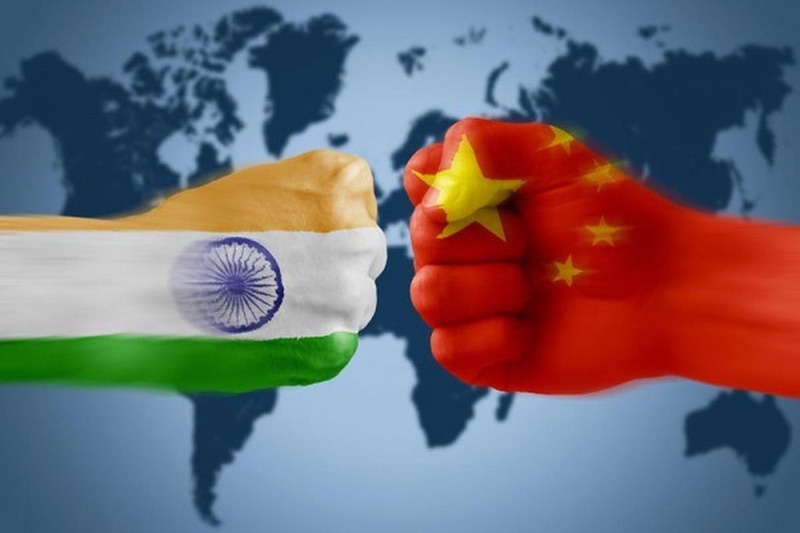 What is your view on the current standoff between India and China? I am not for war, but the way the two countries are mobilising and provoking each other, I feel that war is inevitable. It goes without saying that in the event of a war, there will be bloodshed and destruction at a massive scale. China may have mightier military strength, but that doesn’t mean it will not suffer bloodshed and destruction. Why and for what China needs to build a road in Doklam where the area is uninhabited? If China talks of friendly neighbours with India, they should stop building that road. There are more things China can do for it’s people. With regard to some Indian politicians and journalists blaming the Dalai Lama and the Tibetans for not doing anything about the Doklam issue, what’s going wrong with them? Like the writer has pointed out, the Dalai Lama and the Tibetans have always been calling for a free Tibet and make Tibet a zone of peace. That will prevent any face off between the two countries. But India never came to support that idea. It looks like these people are waking up now. India never supported Tibetans politically. They only played safe game trying not to annoy China. And when China annoys them then they blame Tibetans. If you want to change the status quo, then come out in support of a free Tibet, make Tibet a zone of peace. Only then India could have a sound sleep. Until then, China will point their guns down to India from up above in the Himalaya. China will never change its bullying attitude towards India nor suppressive policy against the Tibetans in Tibet. The only and permanent solution is eviction of China from Tibet. There is no use now blaming any one nor talking about what could have been done to avoid what has happened to Tibet. We all know what India could have done and what Tibet, the victim, should have done from the beginning to prevent the present state of affairs. No matter at what cost and how long it may take, India must prepare and be determined to ultimately evict China from Tibet while the Tibetan leadership in diaspora keeps the Tibet issue alive indefinitely as required so that inevitable consequences of illegitimate occupation of Tibet continue to loom large over the Chinese dictators all the time. No oppressive regimes have survived for long. So will come China’s turn. Eviction of China from Tibet should be made the unwritten aim of the succeeding Indian and Tibetan generations to come for their common security and prosperity. JAI HIND, JAI TIBET. I come from the North east INDIA and I was associated with the Tibetan people for many years. In our region, the China and Pakistan have for decades collectively tried to use our misguided youths against the nation but have miserably failed. Coming back to the Dokhlam issue, it is a pure case of invasion by china. India is a responsible nation and it stands for the rights of it’s neighbours. China occupied Tibet illegally and I strongly believe that Tibet will be a free nation very soon. China made a big mistake by messing up with INDIA, China still has a time to save themselves from getting destroyed by retreating their soldiers unconditionally. If the present crises turns into a full scale war, the birth of many new nations will take place and some of the top contenders are TIBET, HONG KONG, Baluchistan, SINDH, etc. And even Xinjiang [East Turkistan] and Inner Mongolia. There will be many more Doklams but the Indian defence forces will take care of them nice and proper. Bro I am an Indian and you are a Tibetan. You should use the word India, Bhutan and Tibet trijunction instead of India, Bhutan and China trijunction. Bhai, you came up with a solid and irrefutable fact. You have a point here. It is well registered. China has been bullying India for a long time. Time to face the bully with full force and fight as long as it needs to be. High time India raise a regiment of Tibetans. China is a nation who understands the language of power. Lessons on peace and spirituality won’t take us far in dealing with China. There were times in history when Tibetans ruled over China. High time Tibetans raise their army and join hands with Indian army to fight the bully China. Freedom of Tibet should become top agenda of Indian foreign policy. A friendly free Tibet what India needs to keep China away. It already exists, it is called the Special Frontier Force (also known as Establishment 22). It is mainly comprised of Tibetan Refugees/Partisans. It was setup after the 1962 war. Of late it also comprises of Nepali Gurkhas. At the time of its inception, its main purpose was intelligence gathering and covert operations behind enemy lines. Look it up, this ‘Establishment 22’ has carried out some respectable missions.